Baahubali Breaks all records at Box Office! Enters 300 Crore Club. Baahubali Breaks all records at Box Office! Enters 300 Crore Club. Home > tamannah > Baahubali Breaks all records at Box Office! Enters 300 Crore Club. 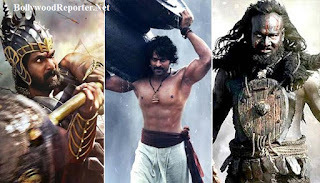 Baahubali Breaks all records at Box Office! Enters 300 Crore Club. S.S. Rajamouli's latest released movie Baahubali - The Beginning stars Prabhas, Anushka Shetty, Rana Daggubati, Tamanna Bhatiya in lead roles. This is the first ever movie of Tollywood which smashed just all the records of Box Office. In just 10 days Baahubali has entered 300 crore club. Baahubali has also break the records of Superstar Rajnikant's film Enthiran (Robot) which collected 290 cr at Box Office. On Saturday the film has crossed 303 crores. It has also became the first ever Dubbed movie which collected 50 crores at North India. By 2nd Sunday, Baahubali's Hindi version started performing better again. Making a business of 3.25 crores on its 2nd Friday, the film showed a growth on Saturday by collecting 4.70 crores and a further jump on Sunday made it rake in 5.40 crores. Baahubali‘s Hindi version now stands at a total of 60.12 crores net at the Box Office.